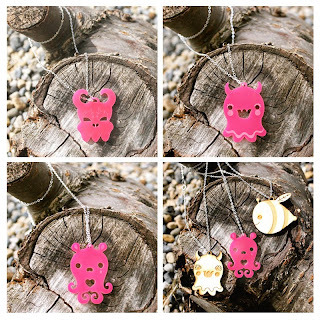 Lunabee: custom vinyl toy art: New Lunabee jewellery! 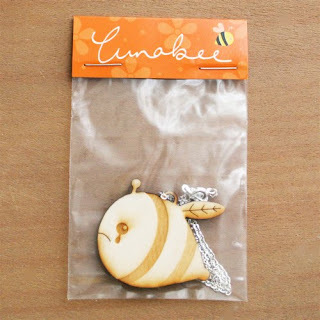 Finally I can reveal my new line of Lunabee goodies is ... *drum roll* Lunabee Jewellery! I have brooches and necklaces in pink acrylic and wood. 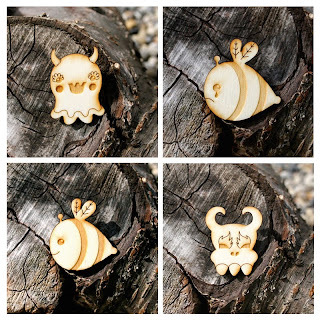 They have been beautifully lasercut and make perfect little gifts for yourself or a friend in their pretty Lunabee packaging! They will be going on sale this Wednesday (11th May) at 6pm London time right here: Lunabee store where you can check out the full range available.